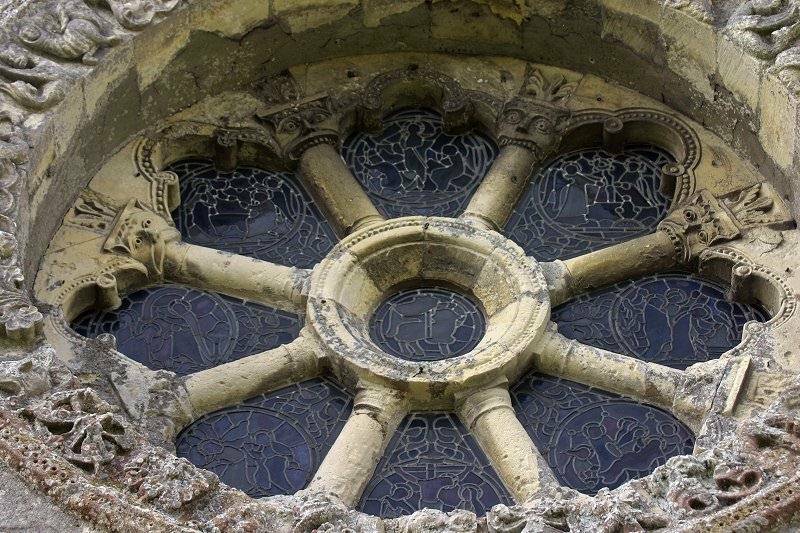 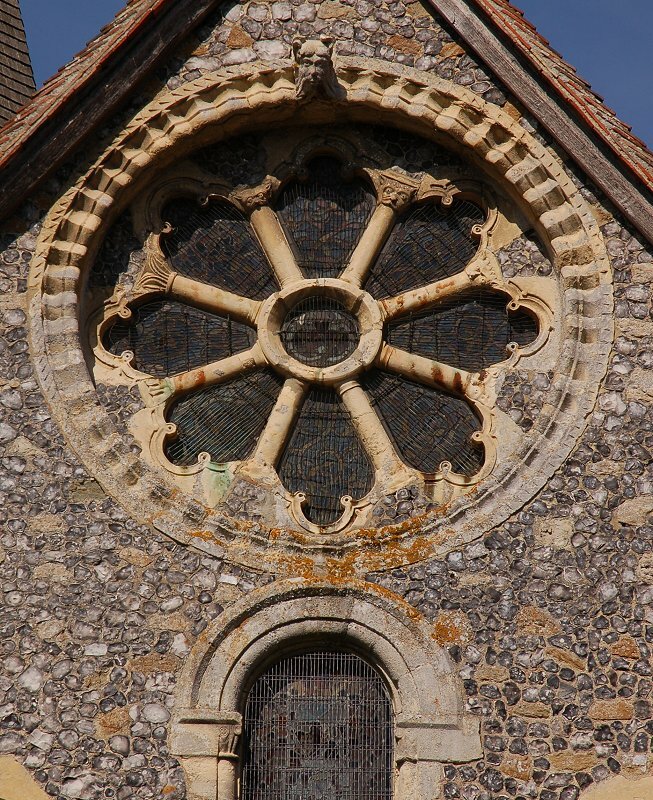 The superb Rose Window of the parish church, featuring eight column-swallowers. 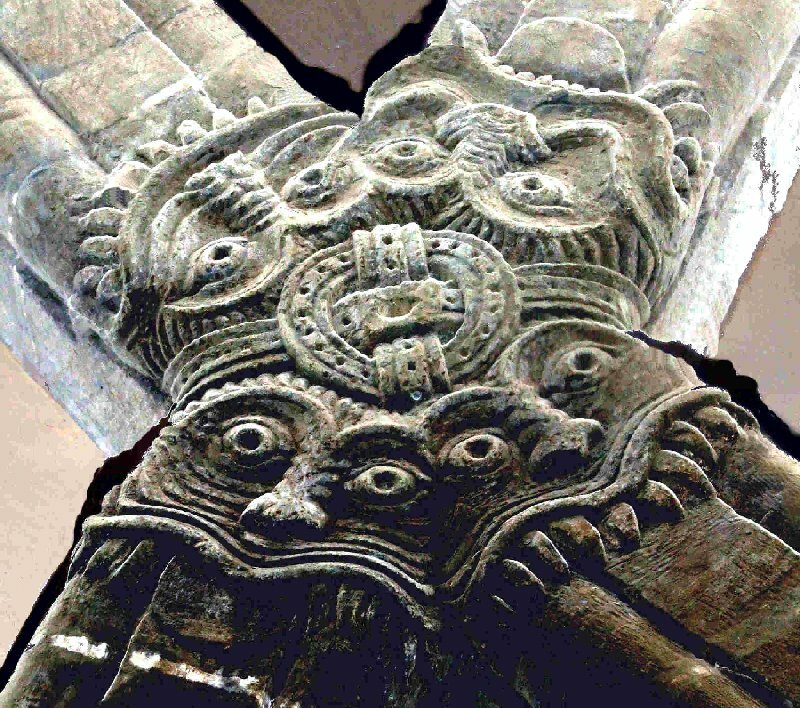 but with only two column-swallowers. 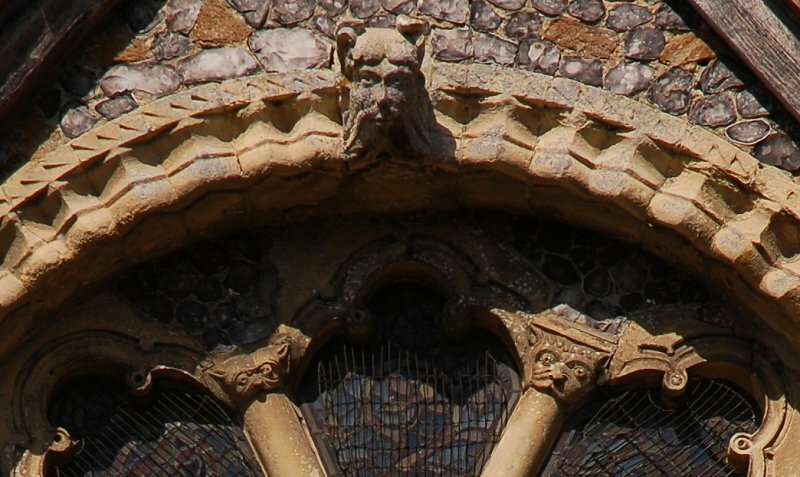 The magnificent roof-boss at Elkstone in Gloucestershire, photographed by Tina Negus.